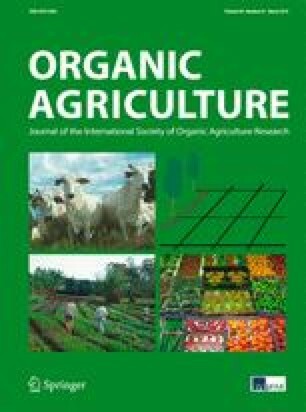 Specialisation within organic agriculture in many western European countries has led to the decoupling of crop and animal systems, resulting in a shortfall in manure fertilisers on most farms and a surplus on others. One solution to solve a problem has been the establishment of collaborative partnerships between specialist organic farms for manure exchange. The aim of this study is to acquire factual knowledge about existing partnerships. A survey was undertaken of dairy farms in livestock-intensive areas of Denmark, identifying and comparing 95 partnerships between organic dairy farms and organic arable farms with 144 partnerships between conventional dairy farms and conventional arable farms. In order to understand the diversity of strategies among organic farmers, five types of partnerships were identified. The character and functioning of the organic partnerships are influenced by the high demand for organic-certified manure on organic arable farms, but many organic dairy-arable partners also have strong social connections irrespective of the distances involved. The five organic partnership types showed that the organic partners’ strategies were influenced by environmental regulations as well as social connections and location. Trust and reciprocal relationships through high-quality communication and well-functioning institutional arrangements seem to play pivotal roles for partnerships to be maintained. As organic farmers are continuously facing global market conditions and tightening regulations, the development of collaborative partnerships which could contribute to adaptability and flexibility is essential. These findings are not exclusive to organic farmers and may also apply to other intensive livestock regions in Europe. This research was funded by LIFE PhD Scholarship, University of Copenhagen. We would like to thank the farmers for their participation in the study. We are grateful to Julie Ingram (CCRI), Chris Kjeldsen (Aarhus University) and two anonymous reviewers for their valuable comments.